In recent studies, it has been found that practicing gratitude exercises and positive affirmations have been effective in helping people manage stress, anxiety, depression, and an array of other types of mental health disorders. Teaching a client how to practice gratitude exercises helps him or her learn how to acknowledge and appreciate the good. 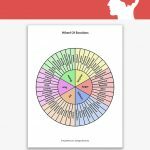 This helps reduce stress and negative thoughts and emotions that tend to prevent clients from remaining present and grounded in the present moment. 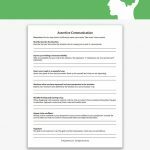 This is the Gratitude Exercises worksheet. 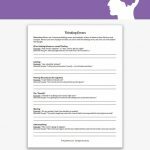 On this worksheet, the client is provided with a 4-week schedule of simple and effective gratitude exercises to practice. The client is asked to practice one gratitude exercise per day, 5 days a week, for 4 weeks. By the end of the month, the client will know how to appreciate and show gratitude toward himself or herself, and the positive aspect of his or her life. 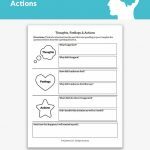 This worksheet is best used in conjunction with some form of therapy. It is effective in both individual and group settings, and can be used for adolescents or adults. 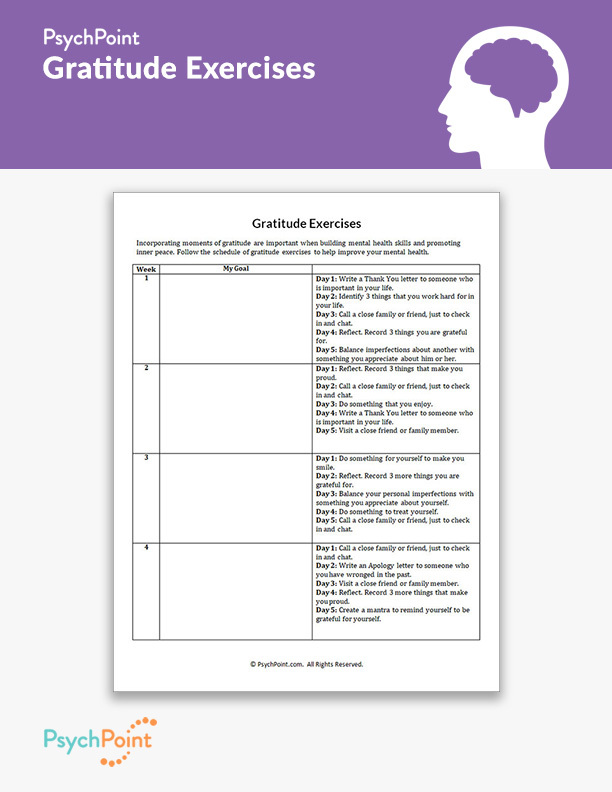 The Gratitude Exercises worksheet provides 5 gratitude exercises per week, asking the client to complete one exercise per day. 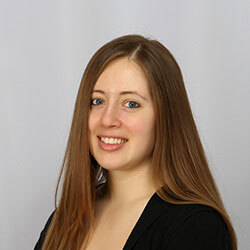 The client is also asked to record one goal per week to work toward in his or her gratitude journey. Each week, the client should review the results of the exercises with his or her therapist or counselor.